Teslas are hot right now, and not just because they’re named after a man who once tried to invent the death ray. Elon Musk’s brainchild has cultural cachet, doesn’t need gas and might just help keep the Florida coastline above water. These are all great reasons to invest in a car. There’s just one problem: Tesla doesn’t have traditional dealerships. This isn’t necessarily a bad thing, but it may leave many would-be eco road warriors wondering just how they can get behind the wheel. Here’s how to buy a Tesla, in three simple steps. Tesla offers two ways to buy its cars: through the company’s website or its in-person show rooms. In both cases you’ll likely order a car, not buy it on the spot. Model: You can choose from the Model S, Model X, Model 3 or the upcoming Roadster. Each offers different technical specifications. Top speed: Between 140-250 miles per hour (with much, much more promised for the Roadster). Range: Perhaps the most critical statistic for a Tesla, with a low end (on paper) of 259 miles up to 335 miles before the car needs recharging. Wheels: Tesla offers three options. Color and interior design: Note that customization beyond the default Tesla designs will increase the cost of buying a car. 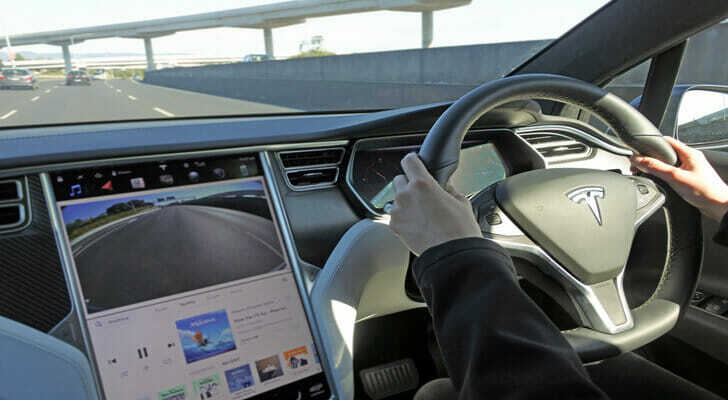 Autopilot: For $5,000, you can add an autopilot that “will steer, accelerate and brake” and even “automatically change lanes on most highways,” per Tesla’s website. Don’t forget about the big extra cost: the charging station. Buying a Tesla means that you’ll almost certainly need to install a charging station at home. Costs to install a home charging station range widely, but you should budget for an additional $700 or so. This is arguably the biggest disadvantage to an electric car. 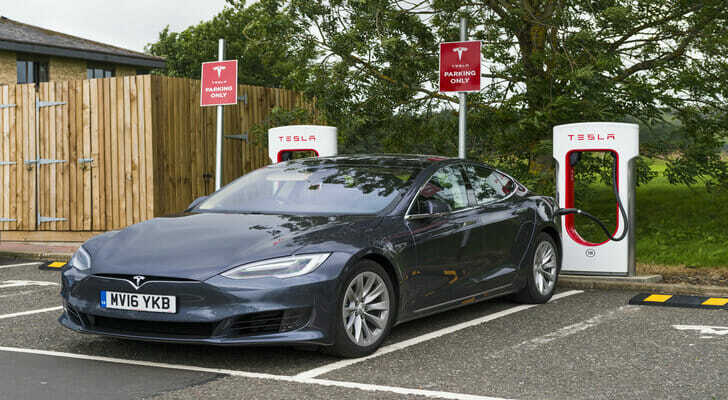 While stopping for gas can take no more than a few minutes, fully charging a Tesla battery takes over an hour. Even getting a decent charge takes 30 minutes or more. Though you can’t count on topping up this car on your way to work, there are a number of other advantages to electric cars. Don’t click purchase yet. This isn’t an inexpensive household item that you can easily return. The next step is to see if Tesla has any service centers near you. 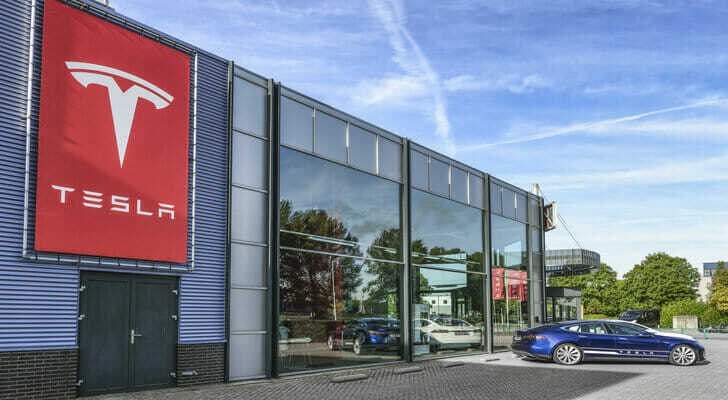 For people who don’t live near a showroom, Tesla offers two options. First, the company periodically hosts test drive events across the country and around the world. You can look up upcoming events on Tesla’s website. Second, Tesla lets you return its cars in three days if you haven’t taken one for a test drive, so technically you can try the car out after spending a year’s salary on one. If you can get to a showroom, though, you’re better off doing it the old-fashioned way. You’ve looked at the models and options. You picked out the car that works for you at a price that’s right. And you’ve taken it for a test drive (if at all possible). Now it’s time to buy. Depending on where you live, there are two options for buying a Tesla. First, showrooms located in New Hampshire, California, Virginia and Colorado can sell you a Tesla directly. Showrooms tend to keep a limited supply of cars on hand, however, so they may not have exactly what you want. But if they have the stock, you can buy and drive like you would at a normal dealership. In all other states, the law either forbids this or is unclear. Your second option for buying is to go online. The general model for buying a Tesla is through the company’s website. You can also call the company’s sales team at (888) 518-3752. You will configure your car through the website’s design studio and buy it right there, including filling out any paperwork for a loan. This is a two-step process. First, you’ll need to configure your car. By now you should have a good sense of exactly what you want. On Tesla’s website, you can select your model, options and price. Spend a while on this, and go back to take another test drive if you have any second thoughts. The second step is choosing your financing option. Unless you’re purchasing the car with cash you will want to determine your loan terms. (Tesla also offers leasing, for customers who prefer not to buy.) You can finance your purchase through Tesla or use individual financing through another institution. Terms will depend on personal credit and payment schedule. If you choose to finance through Tesla, the company’s website will handle your application as part of the purchase process. The process of buying a Tesla is different from other automobiles, but it should be pretty straightforward now that you know how to buy a Tesla. Just like with any other car, you’ll want to do your research and get an idea of the cost before committing. Ideally, you’ll be able to test drive a Tesla before you commit. Once you get down to actually purchasing your car, you can either visit a showroom in certain states or go online. After that, all that’s left to do is enjoy your new Tesla. Teslas aren’t cheap. If you’re thinking about making the leap now that you know how to buy a Tesla, you’ll want to start saving. Making a budget might make it easier, especially if you use SmartAsset’s free budget calculator. Before you drop a lot of cash on a Tesla, you’ll want to make sure your overall financial situation is in good shape. After all, it’s not necessarily a good idea to skimp on saving for retirement just to buy a Model S. A financial advisor can help you sort through your priorities and make the right choices to maintain your financial health. SmartAsset’s financial advisor matching tool makes it easier to find an advisor who meets your needs. All you have to do is fill out a brief questionnaire about your financial situation and goals. Then we’ll match you with up to three advisors in your area, all of whom we’ve already vetted. The post How to Buy a Tesla appeared first on SmartAsset Blog.